So all this started back on April 21, 2011. 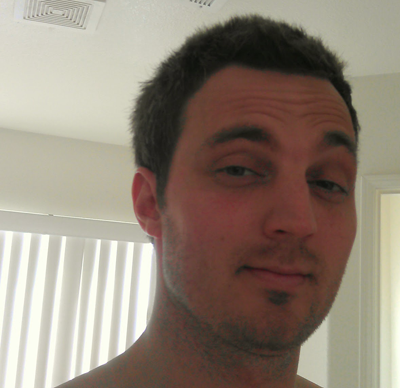 Being that its now April 3, 2012… I see no reason why I can jump the gun a bit and post this a little early. April 22, 2011: One day after finding out I have a brain tumor, I’m waiting in an ER room to see my first specialist. 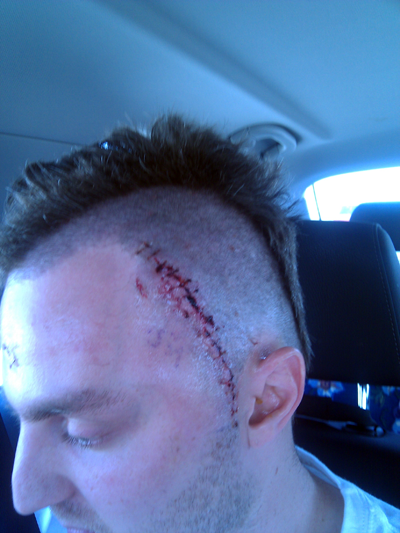 April 25, 2011: Just three days later, I’m discharged from the hospital after having a front temporal craniotomy. 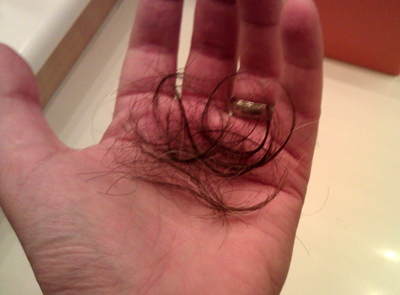 April 27, 2011: Face swollen and loaded up on medicine, I decide to shave my head. 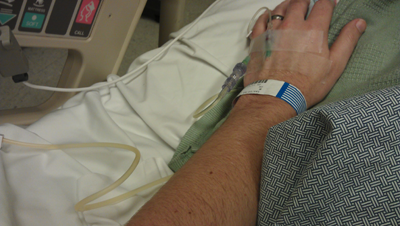 July 28, 2011: A few months later my surgeon finally says I’ve recovered enough for treatment to begin. I take a photo on the first day. August 15, 2011: A few weeks into radiation and chemotherapy. 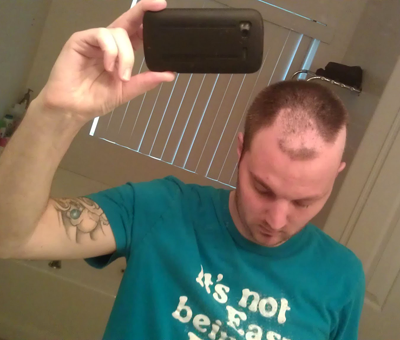 August 19, 2011: The side effects of treatment really start to show. 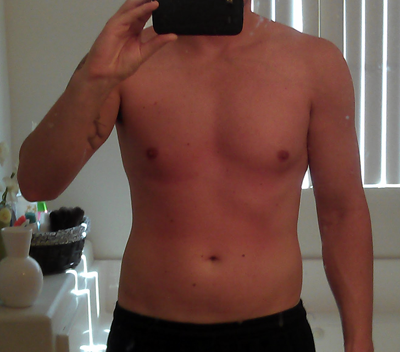 I’ve lost over 20lbs. 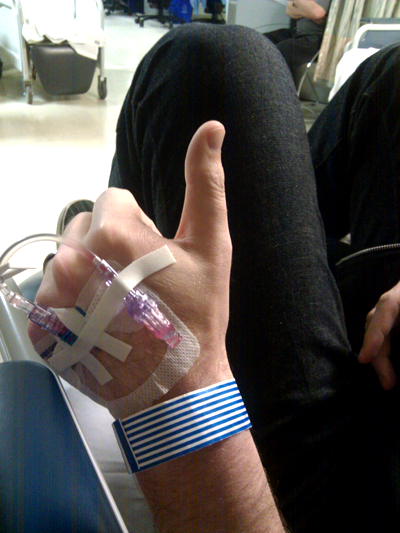 September 6, 2011: My platelets bottom out and I’m in an ER getting transfused. Chemo is halted for health concerns. 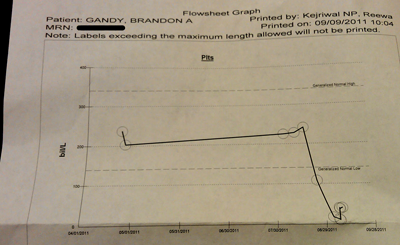 September 9, 2011: Even three days after the transfusion my platelets have barely recovered. 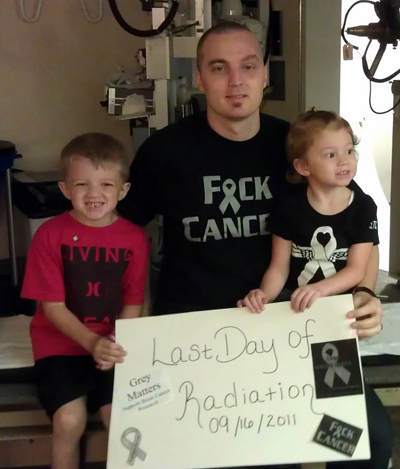 September 16, 2011: Last radiation treatment! 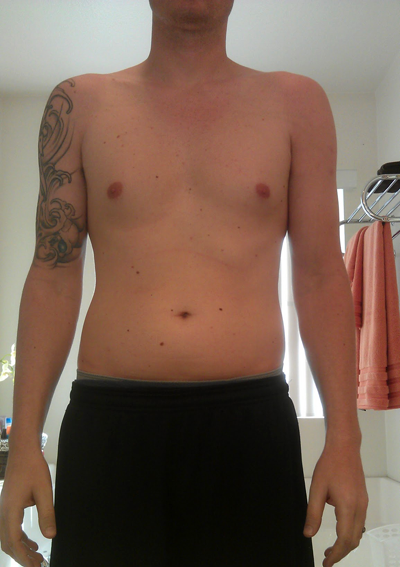 September 26, 2011: I remember to take a comparison photo. 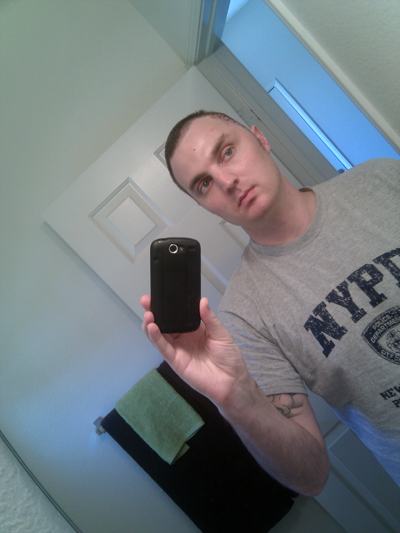 October 5, 2011: Still haven’t recovered from the effects of radiation. 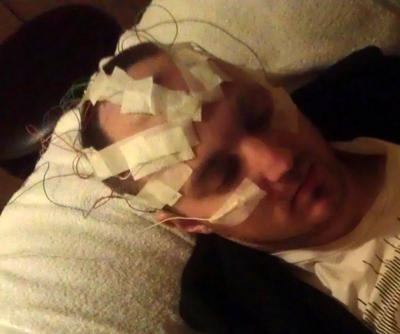 October 25, 2011: Electroencephalogram (EEG) test. My neurologist wants to know more about my seizures. 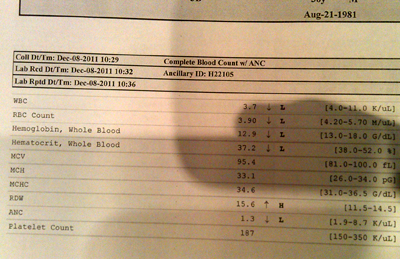 December 8, 2011: Platelets finally get back to a normal level! I’ve been off chemo for 3 months. 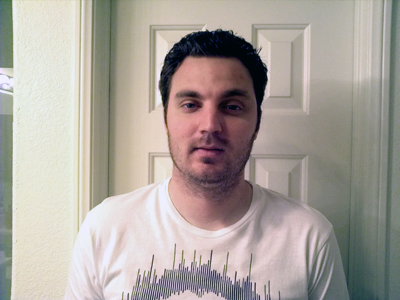 January 10, 2012: I’ve lost nearly 30lbs so far. I take up light-weight lifting, jogging, hiking, stretching and sit-ups. I start eating healthier than ever and add lots of protein and calories to my diet. 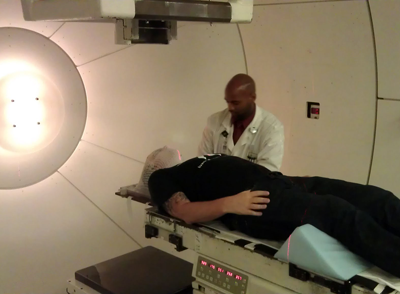 March 31, 2012: I’ve had two MRIs with great results. I feel good, my hair is back and I’ve been back to work for 3 months now. It’s exciting to look back and see how well I’ve recovered… but I’m far from done and my fight isn’t over. 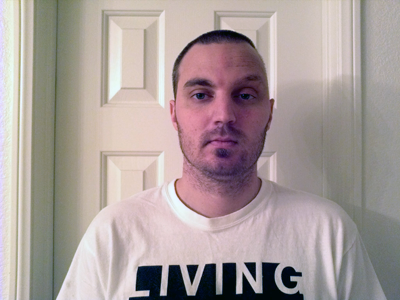 I still have brain cancer and its not going anywhere. My only chance is to keep happy and healthy; mentally and physically. I look forward to keeping everyone up to date on my progress!